Last Fall, I had the pleasure of working with the Ottawa Art Gallery (OAG) to design a publication for Michael Belmore’s (www.michaelbelmore.com) two artist exhibition, Michael Belmore | A.J. 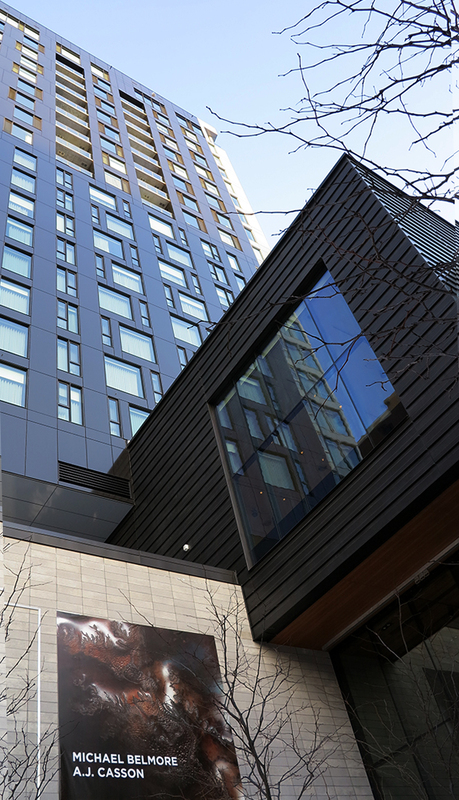 Casson – Nkweshkdaadiimgak Miinwaa Bakeziibiisan, Confluences and Tributaries, Confluents et Tributaries (more info) which opened October 11, 2018. The publication, as with the exhibition, features the copper work of Michael partnered with paintings by Group of Seven artist, A. J. Casson. The exhibition, which closed this past weekend, was part of the OAG’s new series Firestone Reverb. 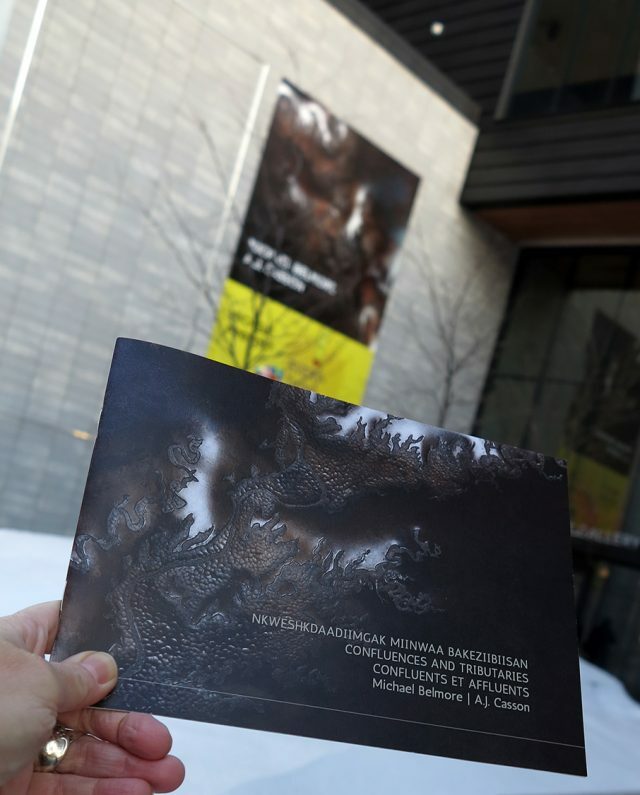 In this exhibition series “contemporary artists are invited to respond to selections drawn from the Firestone Collection of Canadian Art.” The publication also includes a beautiful essay by OAG’s RBC Emerging Indigenous Curator Wahsontiio Cross, the curator of the exhibition. Both artists, though coming from different cultural and generational backgrounds, share an affinity for nature and a respect for the land which can be expressed in their art-making processes. Both grew up with the land as their teachers: as a child, Casson’s family spent their summers in the Guelph area, where he enjoyed fishing and hunting rabbits; Belmore frequently spends time in the bush and on the water and collects his materials and ideas directly from the land. The landscape surrounding Lake Superior is a place which is integral to his personal and cultural history, as seen in Landing I and Landing II (2008), which features the topography of Lac Des Mille Lacs and Lake of Bays ritualistically hammered out into the copper sheets. Thanks to OAG for this creative opportunity, Wahsontiio for her insight into the original design concept, Michael for providing inspiration through his stunning work, Rebecca Basciano (Assistant Curator) for her input and superior coordination of the project and Gilmore Printing for their excellent service as well as an exceptional print job. It was a welcomed change of pace to move from digital design to hardcopy once again. The publication is now available for purchase at the OAG Gift Shop. To view images of the exhibition, courtesy photographer Julia Martin, click here.